17 great pieces written to help a student become familiar with various jazz styles. 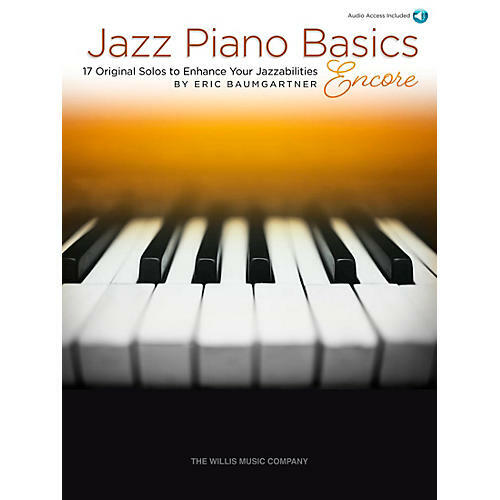 They progress from later elementary to mid-intermediate level and may be used with the Jazz Piano Basics series or as independent solo recital pieces! Several of the pieces were previously in the Jazz Connection series. Includes online audio files as well as in-depth performance notes by the composer. Titles: Berry Blue Jam · Bossa Rio · The Brazilian Bop · Burgundy Street Blues · Calypso Carnival · Cool It! · Easy Does It · Fol-de-rol · Funkasaurus · Island Breeze · Jumpin' with Mr. Jordan · Main at Midnight · Mellow Mood · Out on a Limbo · Reflection · A Swing Thing · Tango Up in Blue. On AMEB Syllabus. Make progress in a variety of jazz styles. Order today.